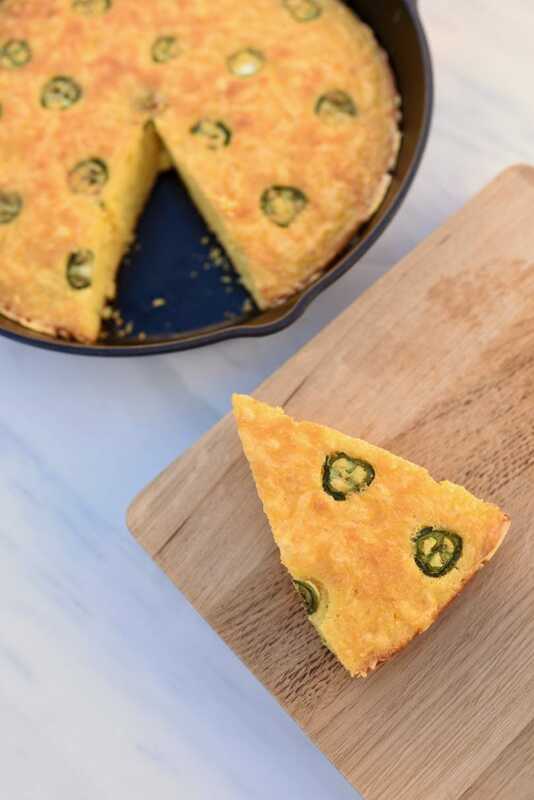 A jalapeno cheddar cornbread recipe that is bursting with flavor and is the perfect comfort food. 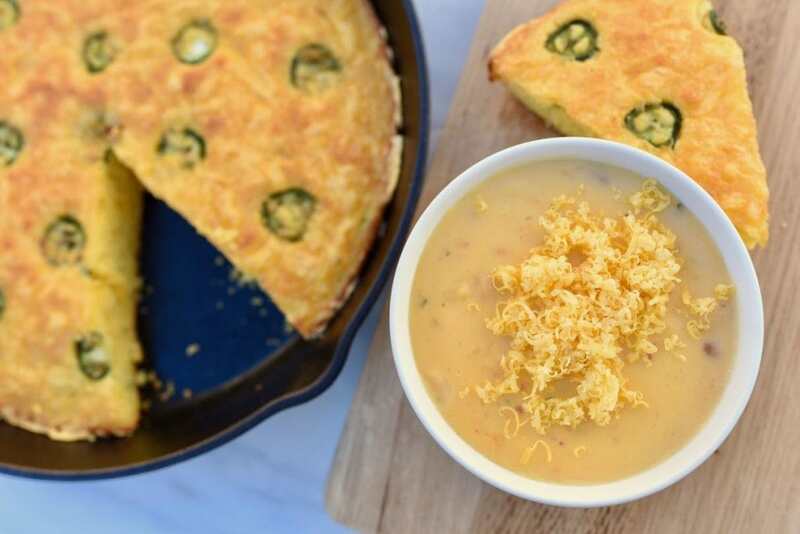 Jalapeno cornbread is the perfect companion to a hot bowl of Idahoan® Steakhouse® Soups on a cool day. 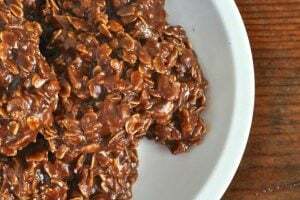 Keep reading for the simple recipe! Drizzling cool days, like we’ve had here recently in Southern California, call for hot comfort food. It doesn’t rain much here, but when it does, I just can’t help making hot soup and fresh bread to go with it. It warms me up and makes me feel nice and cozy while snuggling in a blanket and watching the rain through my front window. 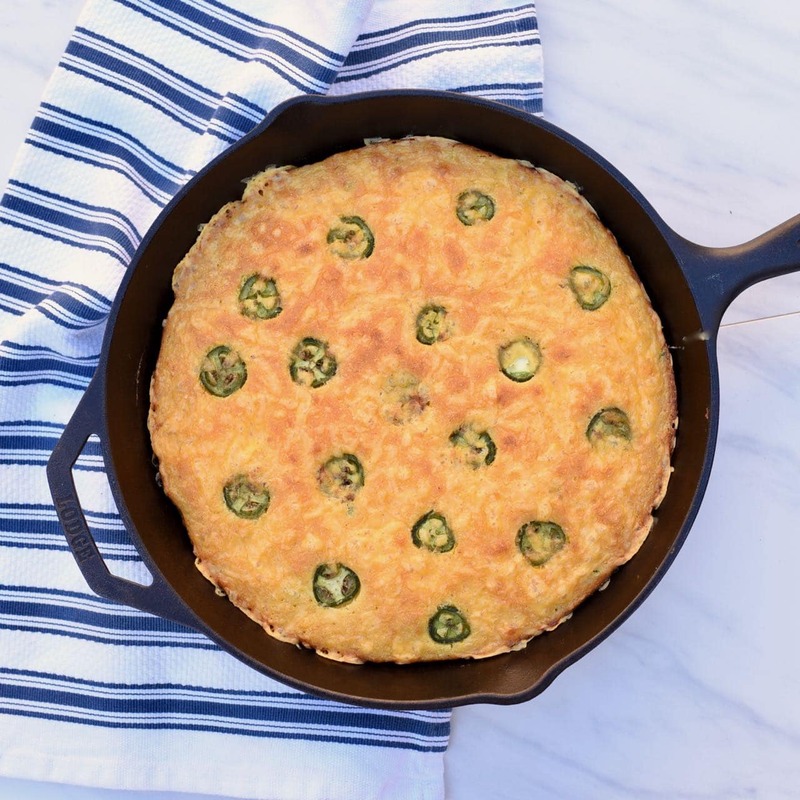 I’m sharing with you the recipe for an incredible jalapeno cheddar cornbread I made last week. Jalapeno cheddar bagels from the bakery have always been one of my favorite picks, and I wanted to transfer that amazing combination of flavors into a cornbread recipe that I could make in a cast iron skillet and cut each piece like I would a piece of pie. Everything just tastes better and looks cooler when it’s made in a rustic cast iron skillet, doesn’t it? This jalapeno cornbread recipe is no exception to that. 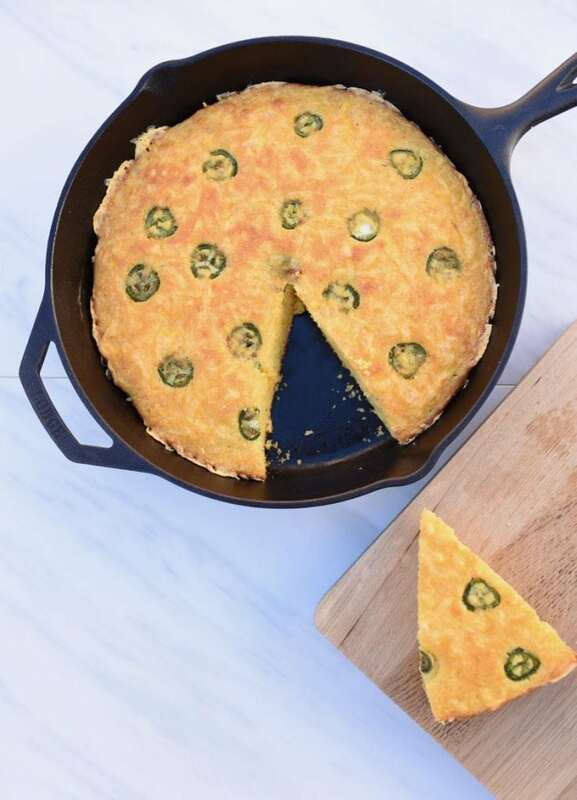 With a sliced jalapenos and cheesy top, this jalapeno cheese cornbread is a showstopper. It not only looks beautiful and rustic, it tastes incredible. 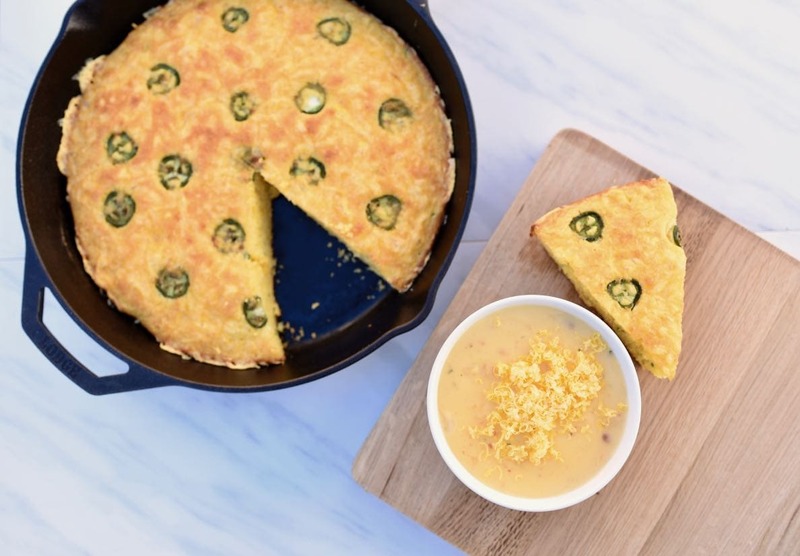 If you ever need anything to dunk into a nice bowl of hot soup, this cheesy jalapeno cornbread is it. Speaking of hot soup, I made a quick batch of hot potato soup to go with the bread and it was a divine combination. You would never guess that the whole meal took just minutes to prepare! My secret is using Idahoan® Steakhouse® Soups. They are SO full of flavor and the soup tasted like it came straight from the restaurant! It’s comfort made easy, which is the best kind, right? They come in a variety of delicious flavors, including Loaded Potato, Creamy Potato, Cheddar Broccoli, and Cheddar Potato. Our Loaded Potato flavor was incredible! It tasted just like a baked potato with all the fixings- cheddar cheese, bacon, and onions. SO tasty! 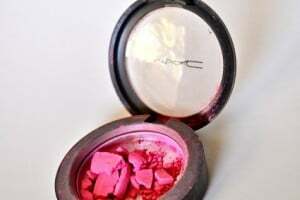 First you’ll mix together the cornmeal, flour, baking powder, and salt in a bowl. Next come the eggs, melted butter, and milk. Mix, then pour over the dry ingredients. Add the jalapenos and cheese, stir, then pour into pan. Top with the rest of the cheese and the sliced jalapeños, then bake. It doesn’t get much easier than this! Look at that golden cheesy top just waiting to be devoured. 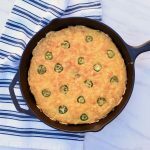 A jalapeno cheddar cornbread recipe that is bursting with flavor and is the perfect comfort food. 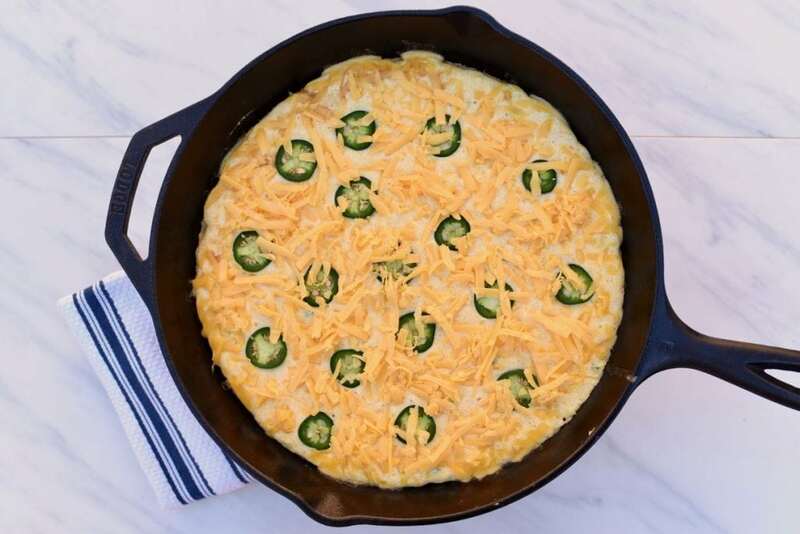 With a cheesey top filled with jalapeño slices and more cheese and diced jalapenos inside, this tasty side dish is full of flavor and simple to make in just minutes. Heat the oven to 425 degrees. 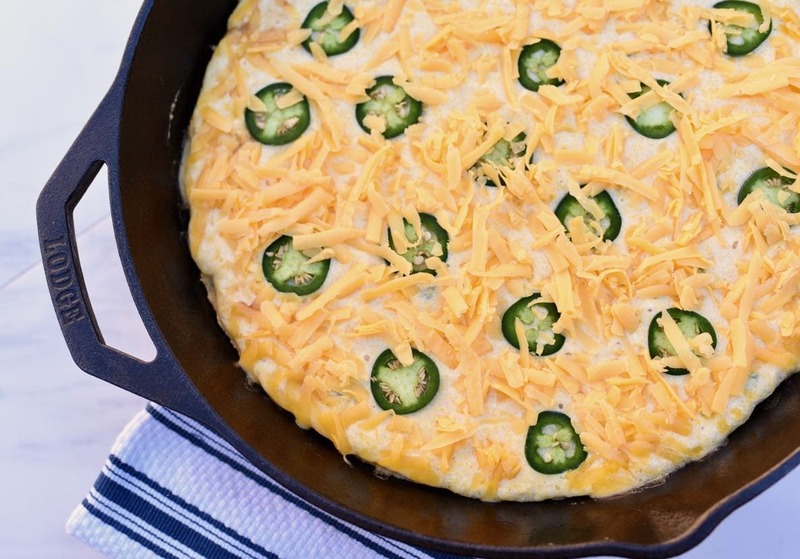 Place a 9" or 10" cast iron skillet in oven to heat. 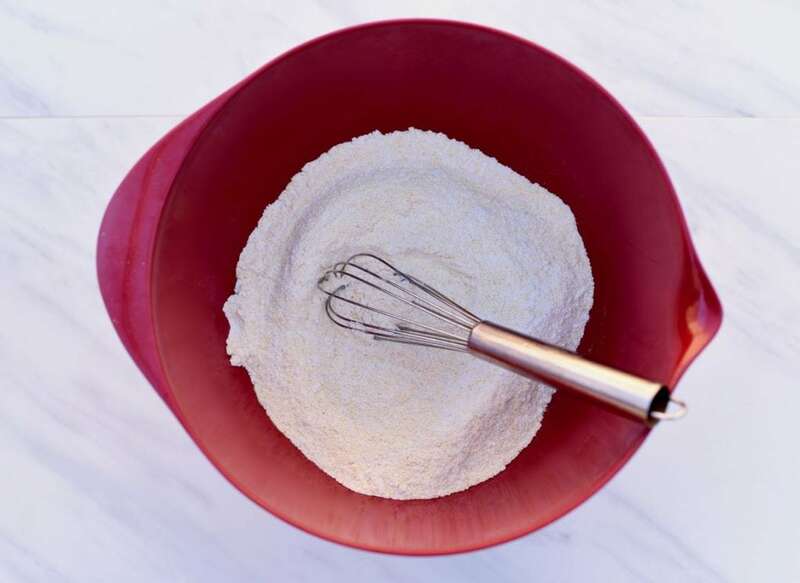 Mix together the cornmeal, flour, baking powder, and salt in a large bowl. Set aside. Whisk the two eggs in a seperate bowl. Add in the melted butter and milk and stir until combined. 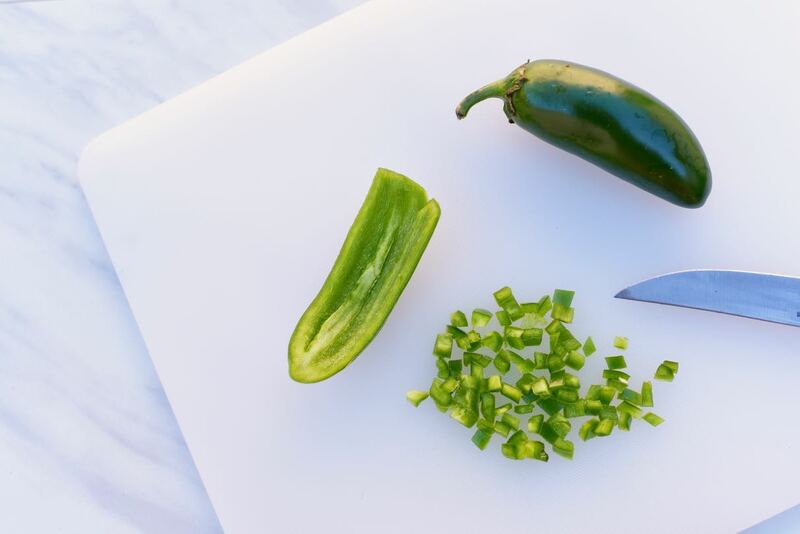 Pour the liquid ingredients over the dry ingredients, then add the diced jalapenos and 1 cup of the grated cheese. Stir just until combined. The batter will be lumpy. Carefully remove the skillet from the oven with an oven mitt. Grease the pan with oil or butter, then add the batter to the skillet. Top with the sliced jalapeños and remaining cheese. Bake for about 20 minutes until a toothpick inserted in the middle comes out clean. Each oven varies, so cooking time may vary. Cut, serve, and enjoy! Now you have the perfect hearty side to enjoy with a bowl of hot potato soup! 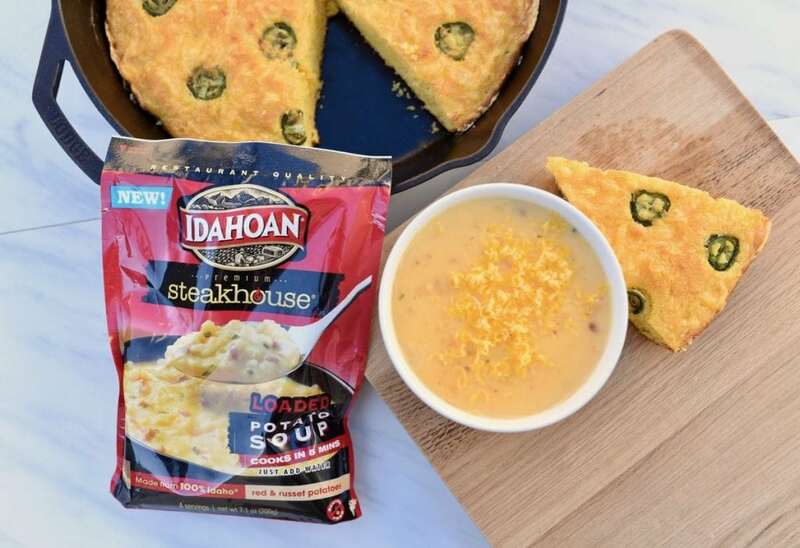 Seriously, do yourself a favor and try this Loaded Potato Idahoan Steakhouse Soup. You won’t regret it, especially when it takes just minutes to make. All we had to do to make the soup was to add water and warm it up. 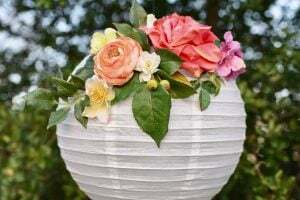 It really couldn’t be much easier! I love dunking my cornbread pieces into the hot soup for a lovely blend of flavor. Mmmm…..